First Security Islami Bank donated an Ambulance to Chittagong University under its corporate social responsibility on March 27, 2018 in a simple ceremony organized in this regard. Mr. Syed Waseque Md. 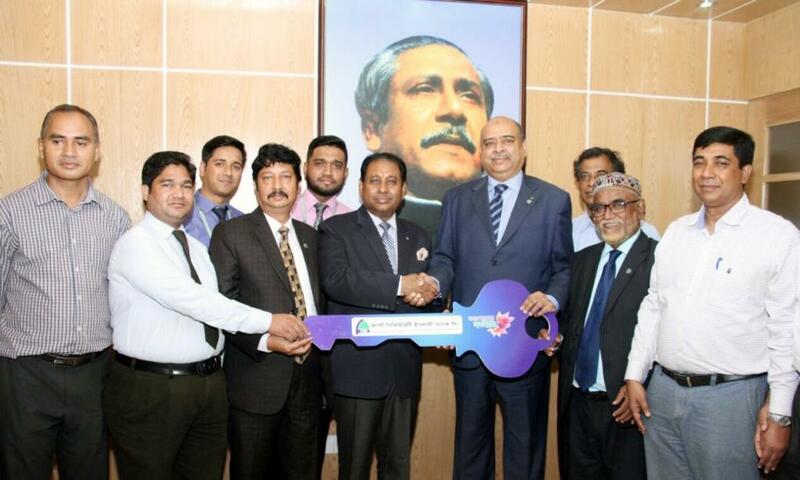 Ali, Managing Director of First Security Islami Bank Limited handed over the dummy key of the Ambulance to Prof. Dr. Iftekhar Uddin Chowdhury, Vice-Chancellor of Chittagong University. Among others, Prof. Dr. Shirin Akter, Pro-VC, Chittagong University, Deans of different Faculties of Chittagong University, Mr. Md. Wahidur Rahman, Zonal Head, Chittagong, Mr. Syed Kutubuddin Alam, Manager, Chawkbazar Branch of First Security Islami Bank along with other officials were present on the program.